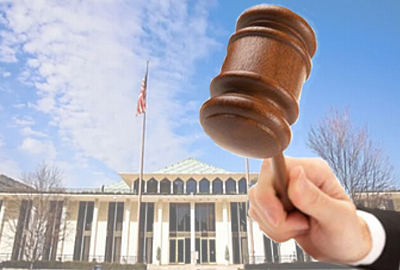 The fate of judicial selection in North Carolina may come down to a clash between the House and Senate. The N.C. Association of District Court Judges was presented last Friday with a potential “alternative” to judicial redistricting – a merit selection plan with which Senate President Pro Tem Phil Berger is testing the waters. The nonprofit organization hired lobbyists Chuck Neely and Rick Zechini, both of Williams Mullen, earlier this month and Neely brought Berger’s chief of staff Jim Blaine to a meeting of the group’s board of governors last Friday to discuss merit selection. It’s the first time the judges had been approached about the process, which would require a constitutional amendment and approval from North Carolina voters. State Supreme Court Chief Justice Mark Martin called for merit selection earlier this summer, but other than that, the topic hasn’t been publicly discussed much. Berger and his staff did not return a request for comment about any merit selection process that was in the works. Judges in attendance at the meeting Friday met the possibility of merit selection with mixed reviews. Some are uncomfortable about an “either-or” conversation pitting merit selection versus judicial redistricting, but also happy to finally be included in the conversation. Some judges are suspect of lawmakers after they spent much of this session focused on making political changes to the judiciary without any consideration of those most impacted. And at least one judge felt the conversation Friday was an attempt to intimidate judges into supporting one bad plan over another. 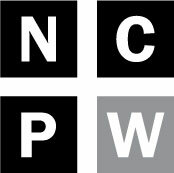 Several judges spoke with Policy Watch on condition of anonymity to avoid the possibility of retribution or any impact on their career. A couple of the judges didn’t perceive the meeting the same way as the above judge but agreed that though the conversation may have been uncomfortable at times, it was a lesser evil than not having a seat at the table at all. The president of the group, Judge Elizabeth Heath of Lenoir County, spoke on the record about the meeting and said she was never uncomfortable with what was going on. Heath said part of the conversation about how to best operate the courts in North Carolina includes talking about judicial selection. “I don’t think anyone is opposed to conversation about how we make that happen but we all need to be part of it, and we appreciate any opportunity that the legislature gives us to be part of that conversation,” she added. Merit selection is a form of judicial selection that involves a nominating commission and ultimately appointments to the bench. In most cases, appointed judges eventually face a retention election, in which they run unopposed and voters determine whether they should keep their seats. The process is, in theory, focused on a judicial candidate’s merits. Proponents argue that the process takes judges out of the politics involved in running a campaign and stems the tide of special interest influence. Opponents argue the merit-selection process is inherently political and that voters ought to have the right to choose their judges. There are several types of merit selection, and some form of the process is used in most states. The “Missouri Plan” involves a nominating commission to screen and vet prospective judges. The committee presents a slate to the governor, who appoints to the bench from that list. An appointed judge runs unopposed in a “yes or no” retention election after a certain term. The Brennan Center for Justice at NYU School of Justice, a nonpartisan law and policy institute, has monitored judicial elections and other state court issues for almost two decades and published an extensive report last year about merit selection. The report notes that nominating commissions are a central feature of merit selection systems and that their structures vary substantially. As of 2016, 14 states used the “Missouri Plan” merit selection process at the Supreme Court level and nine states used it at the trial court level. Other types of merit selection involve gubernatorial appointment or legislative appointment. At the Supreme Court level, nine states used the gubernatorial appointment process with some form of confirmation of candidates by the legislature or another elected body, according to the Brennan Center. Only South Carolina and Virginia use a legislative appointment process at all court levels (Supreme Court, intermediate appellate and trial court). South Carolina uses a nominating commission as part of its process, but Virginia does not. Many states use a hybrid of various merit selection processes, according to the Brennan Center. States also vary the length of judges’ terms, which in 2016 ranged from six years to life tenure with or without an age limit. Heath said there wasn’t any specific plan presented at the Association’s Friday meeting. One judge, however, said Blaine mentioned that Berger’s preference would be the “Virginia plan,” which would allow the General Assembly unfettered power to appoint judges to the bench. Another judge said they were under the impression from the meeting that the Senate was committed to involving all branches of government in the process. Both judges confirmed that a hypothetical plan was presented at the meeting that would involve the General Assembly, the governor and the chief justice appointing a vetting committee. That vetting committee would deem judicial candidates “qualified” or “unqualified” and then lawmakers would choose a slate of qualified candidates and present their list to the governor. The governor would appoint a judge from the legislature’s list. That judge would serve a to-be-determined term and then be subject to a retention election, according to the hypothetical plan. Under that hypothetical, sitting judges would be allowed to finish their terms, but then would be subject to the merit selection process to keep their seats. Some judges seemed on board with the idea while others expressed some concerns, according to one of the judges in attendance. It was clear that what criteria would be used to determine “merit” was not yet decided. Some judges expressed concern and noted particularly that they might not have been appointed in a merit selection process and would fare better in a popular election. There were concerns about the politics that could be used in the process and whether or not selection would be balanced. Some judges acknowledged that the process likely couldn’t be completely devoid of politics, but that steps could be taken to mitigate partisan advantages. One judge pointed out at the meeting that “the devil would be in the details” of a merit selection plan. The biggest concern expressed by judges at the meeting was what merit selection would mean for racial diversity on the bench. “Even Jim Blaine acknowledged that the fate of African American judges is the single biggest issue with merit selection,” said one judge of the meeting. The Brennan Center notes in its report that inadequate diversity is an issue in both appointive and elective systems. The issue isn’t merit, according to judges, when it comes to judicial candidates of color, and particularly African Americans – it’s contacts and recruitment. Many lawyers of color don’t come from a family with generations of experience in the judicial branch. Many also don’t already have established relationships with legislators. Blaine started his presentation by detailing one view of how the legislature perceives the judiciary, according to multiple judges. He was blunt and said that lawmakers do not respect attorneys. In past decades, there were many attorneys and now there are only enough in the Senate to form a judiciary committee. Many lawmakers are small business people, Blaine said, and they use their personal experience to view issues. Blaine told the judges that lawmakers feel that legal professionals and the judiciary cannot be trusted, and the only people of whom they have lower opinions are journalists, according to multiple judges. Blaine told the judges directly that the goal of House Bill 717, the judicial redistricting bill, is to add Republican judges to the judiciary. Berger’s concern with the bill, which is being pushed by Rep. Justin Burr (R-Montgomery, Stanly), comes from an institutional perspective Blaine told the judges. Merit selection would help protect the judiciary from major changes by either party in control, especially when there is high turnover and a loss of institutional knowledge, the judges said they were told. Berger is sending Blaine, described by lobbyists at the meeting as the “right hand man” to the most powerful person in North Carolina politics, to make presentations across the state to gain input and support of a plan as an alternative to Burr’s bill. A specific timeline wasn’t discussed at length, but the process would have to move fairly quickly, according to some of the judges at the meeting. One judge said something could be introduced as early as this fall. Burr’s bill is expected to be up for legislative discussion and action in the next month. The bill, which redraws all judicial and prosecutorial district maps, was a surprise to members of the judiciary and was prepared without input from them. Burr, who did not respond to a request for comment, has said publicly that he didn’t want judges to try to kill the measure, which is why it was kept secret. He has since started setting up meetings with judges across the state to get input. A couple of the judges at Friday’s meeting had already met with Burr. They said Burr met first privately with Republican judges and openly expressed a desire to politicize the judiciary. Burr has been behind a number of bills introduced and passed this session that maneuver and manipulate the judiciary in some way, often despite negative feedback and consequences. The bills that have been passed were approved in overwhelmingly party line votes with widespread support from Republicans. Two examples are HB 100, which made superior and district court elections partisan again, and HB 239, which reduced the state Court of Appeals from 15 judges to 12. Berger supported both of those bills even after several advocates, legal professionals and members of the judiciary spoke out about the damage they would do to an independent judiciary. There have been so many bills politicizing the courts this legislative session that some advocates have expressed the concern that it was possible there wouldn’t be an independent judiciary when the session ended. That is why, in part, some of the judges expressed hesitance with the plan presented by Blaine. Melissa Price Kromm, Director of North Carolina Voters for Clean Elections, has been following bills this session aimed at changing the judiciary and expressed concern about Berger’s merit selection plan. Despite their hesitation, some judges said they felt like they didn’t have a choice but to work with legislators offering them an opportunity for input. One judge said that even the appearance of input was better than no input at all. Another said that being involved in the process was better than being a spectator. “We wouldn’t want to be blindsided,” they said. At the end of Friday’s meeting, one judge said Neely told them to tell Berger how grateful they were for his concern about the judges. Initially, Heath said, the association hired a lobbyist not to stop HB 717, but to slow down the process. Heath said the other reasons the group hired a lobbyist was to stay informed and help convey their message to legislators – meeting with Blaine accomplished that. None of the judges interviewed said they had enough information to take a stance on merit selection. One of the judges said they also weren’t sure how the issue would be perceived among a broader group of judges or if it would be supported or not. All of the judges interviewed expressed grave concern about judicial redistricting, especially at the pace it was moving. A sort of subcommittee of the association is expected to participate in a teleconference later this week to go over concerns about a merit selection process and to determine, if it were to come to pass, what they would want the process to look like.